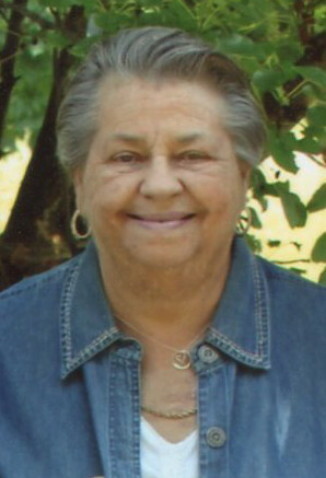 Mrs. Carolyn Lecornu Moss age 73 of Mt. Juliet died June 27, 2017, at her home. A native of Wilson County, she was the daughter of the late Lawton Jennings Lecornu and Martha Midgett Lecornu. A homemaker, she worked for many years in the cafeteria at the former Castle Heights Military Academy. She was a member of the College Hills Church of Christ. She was preceded in death by sister, Frances Bates; brother, Glen Lecornu. She is survived by her husband of thirty-three years, Kenneth Moss; three children: Donneita (Houston) Rogers, Kevin Hunt, Jackie (Darryl) Johnson; four grandchildren: Karen Altman, Melissa (Shane) Helton, Skyler (Grant) Richardson, Cortlyn Johnson; five great-grandchildren: Autumn and Michael Holder, Jewell Whidman, Freedom and Samuel Helton; sister-in-law, Jean Lecornu; brother-in-law, Douglas (Jean) Bates; special friends, Shirley and Tex Barthel. Funeral services will be held Friday, June 30, 2017, at 11 a.m. from the Ligon & Bobo Funeral Home with Kevin Owen and Wilson McCoy officiating. Interment – Wilson County Memorial Gardens. Pallbearers: Jerry Bates, Charles Dillon, Houston Cohea, Shane Helton, Braeden Johnson, Edward Collins. Visitation Thursday 2-8 p.m. and Friday after 9 a.m.
Jackie and Darryl, Praying for peace and comfort to you and your family at this sad time. May God’s strength and the wonderful memories of your Mother will keep you strong. Mom is now in your future and she is happy and free. Jackie what a wonderful heritage she left you, because of the woman you are. Well done, Mrs. Carolyn! Dear Donneita & family, We were so blessed to know your sweet Momma! Our prayers are with your family. May you feel our Lords special peace and understanding. We love you all.